Katrina Dodson is a writer and a translator from the Portuguese. Her translation of Clarice Lispector’s Complete Stories won the 2016 PEN Translation Prize and other awards. 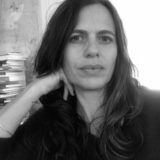 She is currently adapting her Lispector translation journal into a book and is translating the 1928 Brazilian modernist classic Macunaíma, the Hero Without a Character, by Mário de Andrade, for New Directions. 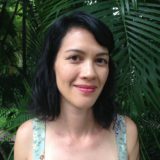 Dodson is a mentor in the Mills College MFA in Translation Program and holds a PhD in Comparative Literature from the University of California, Berkeley with a dissertation on Elizabeth Bishop in Brazil. 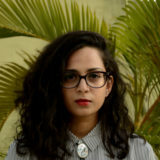 Aditi Machado is the author of Some Beheadings (Nightboat, 2017) and translator of Farid Tali’s Prosopopoeia (Action, 2016). Her writing has also appeared in chapbook form and in journals like Volt, Jacket2, Western Humanities Review, and World Literature Today, among others. She lives in Denver and edits poetry in translation for Asymptote. Anna Moschovakis‘ books of poetry include They and We Will Get Into Trouble for This (2016) and You and Three Others Are Approaching a Lake (2011), and her translations include books and texts by Annie Ernaux, Albert Cossery, Claude Cahun, Jean-Luc Nancy, Pierre Alféri, Samira Negrouche, and Robert Bresson. Moschovakis is a long-time member of the publishing collective Ugly Duckling Presse, where she heads up the Dossier Series for investigative texts. She lives in Brooklyn and Delaware County, New York, where in 2015 she co-founded Bushel Collective, an experimental storefront space for art, agriculture and action. Her first novel, Eleanor, or The Rejection of the Progress of Love, will be published in summer 2018.